How are working capital finance schemes and the availability of KYC and AML tools considered amongst UK and European corporates? TFG heard from Simon Kleine, Director at East & Partners Europe, on the key considerations amongst UK and European supply chains. A large number of suppliers form part of the UK’s global supply chain reach, many of which are concentrated in specific continental regions. With the average number of suppliers per business within this market amounting to 244, a significant proportion of this number has been derived from two main continental corridors, namely, Asia and North America. 53.9% of multinationals within the UK use Asia as one of their top two supply chain corridors, as well as 59.8% for North America. When comparing this to the UK’s European neighbours such as France and Germany, clear idiosyncratic variations can be seen. A smaller supply chain doesn’t always mean a straightforward one. For example, Germany has an average of 278 suppliers globally, which is 13.9% higher compared to the UK. Whereas France has significantly less with an average of 186 suppliers, which is 31.2% lower compared to the UK. However, although France has a lower number of suppliers, they have far more continental distribution in their global supply chain portfolio, mainly in continents such as Africa, Middle East and Latin America. When we look at the internal perception of UK corporates in how well aligned treasury and procurement teams are for supply chain financing efficiencies (the aligning of operational flows with financial flows), the average score valued at 3.11 on an inverse rating scale of 1-5. This illustrates that companies are consciously aware of the internal alignment challenge that exist with their businesses. This provides clear opportunity for intelligent matching solutions from banks or fintechs that link financial matching activities with supply chain activities. Similarly, in some European markets such as France, such alignment of treasury and procurement is even more of a challenge. Figure 1: This graph shows the percentage of businesses who use these regions as their top two supply chain corridors together with the rating score of how well their providers service these supply chain flows. The rating scale is from 1-5, with 1 being “very well” and 5 being “not well”. But corporates do not just perceive internal issues but also external issues – particularly in relation to provider capabilities. Whilst Asia and North America were the UK’s top two supply chain corridors, business opinion on provider capabilities to meet their supply chain financing demands is fairly mediocre. For Asia, provider capabilities were rated at 2.56 and for North America 2.40 on an inverse rating scale of 1-5, meaning that providers did not have the facilities to meet the ongoing supply chain financing demands. Other continental regions such as Eastern Europe, Africa, Latin America, etc., had capability scores that were significantly worse. Clearly, there is scope for improvement and by diagnosing what corporates are specifically looking for in products and services, as well as, what they currently see as important, a clear indication can be made on what providers should be focusing on and where the opportunity lies. One area of importance for businesses was the use of working capital financing for their supply chain to enhance their current accounts; 82.4% of firms within the UK market considered this as one of their key drivers. Closely relating to this was the 66.7% of firms within the UK who considered enhanced cash flow as another one of their key drivers. These factors were also seen as key drivers within France and Germany. Interestingly, given the ongoing economic uncertainty and the fear of projected price increases in the UK, discounted payments were not important for the majority of UK businesses. Another area of importance was the available risk mitigation facilities when onboarding a supplier. Guaranteeing the legitimacy and financial stability of a supplier is crucial and is an area where providers should focus a high level of service and attention to detail. For example, in this technology-evolving world business has been able to benefit from greater efficiency in trade, communication and investment. However, this has also opened many doors to a rise in sophistication and leverage for financial crimes, such as money-laundering. As a result, efficient KYC (know your customer) process has been at the heart of business priorities and was seen as a key tool by just over 95% of businesses in the UK. Opportunities exists for banking and other financial providers to development innovative risk intelligence solutions to help verify the identity of a supplier. Similarly, effective solutions that help businesses assess and monitor the financial situation of a supplier will contribute significantly to corporates’ risk mitigation strategies. Figure 2: This graph shows the percentage of businesses in each market who considered the above options as key tools for supplier onboarding. On the other hand, the priorities of multinational corporates within the French market unveils significant information about the cultural difference between bordering markets. A significant proportion of the French market do not place as much importance on risk mitigation as the UK does. More specifically, they place less importance on the legal verification of a supplier. Quite an interesting result when considering the supply chain dispersion within this market and the varying degrees of political and legal challenges. 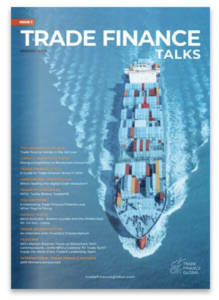 Taking a broader view and examining the main priorities for both a transactional banking and trade finance relationship, effective risk management again is a leading priority as well as customers overall satisfaction for the UK, France and Germany. When considering some of the areas of importance that have been outlined, together with the products and services that have been currently offered from providers, these offerings serve as undefining features for the majority of firms. Just over 43% of UK corporates stated that there is “Nothing Specific” that their banking partner provides, as a service, that is definingly important. Similarly, there were just over 46% who stated the same for products. There is a clear gap in knowledge and understanding that providers have about their customer’s needs and as a result their product and service offerings do not stand out amongst the crowd. This has created a further issue with 22.5% of firms within the UK as they believe they are not getting good value for money, particularly with product offerings. The same sentiment holds true for France and Germany. Figure 3: This graph shows the percentage of businesses in each market who viewed the above options as the most important things their providers do not provide. Therefore, this solicits a further investigation into what businesses want that they are not currently getting from their banking partner as a product and service. 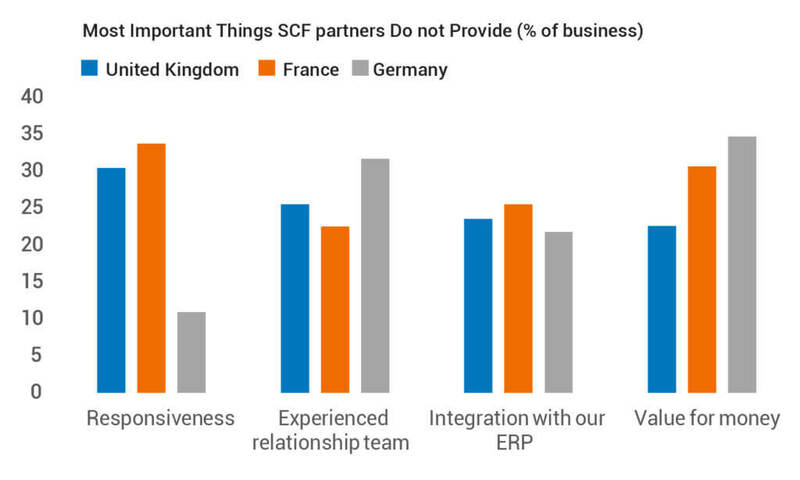 As a product, business in the UK market, as well as the French and German markets, are looking for technological integrations between their supply chain and their ERP (enterprise resource planning) systems. This will help firms manage their supply chain with all other aspects of their business and can resolve many, if not, all of the issues outlined in this article. This ‘voice of the customer’ insight reveals the opportunity for new product developments to be focus around building this bridge. Also, as a service, effective communication is a significant factor that businesses want but is not being met by their providers. Over 30% of businesses in the UK and France feel that there is a lack of responsiveness to their supply chain queries such as: payments, processing time, goods and materials, etc. This can be ascribed to banking partners not investing enough in providing an experienced relationship team that can help on all occasions of contact. 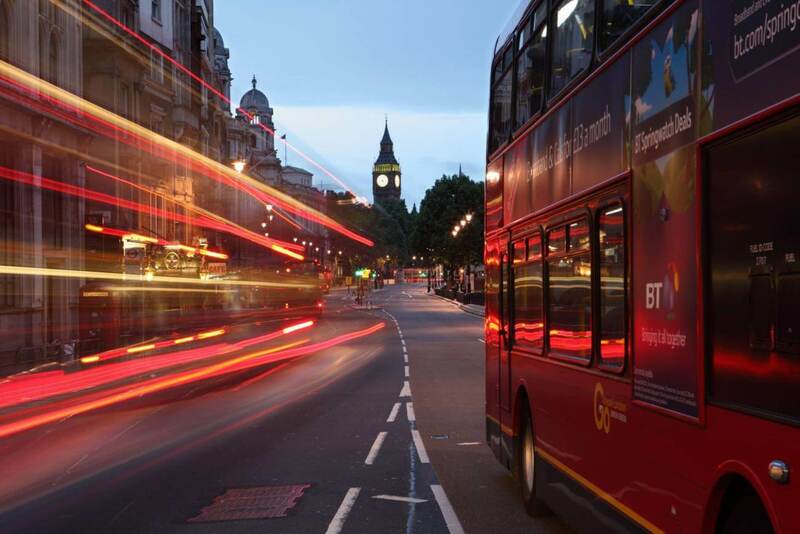 The ongoing turbulence to Britain’s politics and economics as a result of Brexit has caused a significant degree of concern for UK businesses. When asked how disruptive they believed Brexit would be to their supply chain financing in 2019, the average score given within this market was 2.11 on an inverse rating scale of 1-5. This comes as no surprise, however, what is surprising is the expected disruption to France and Germany being more than the UK. Multinational firms based in France and Germany gave an average rating score of 1.85 and 1.66 respectively. 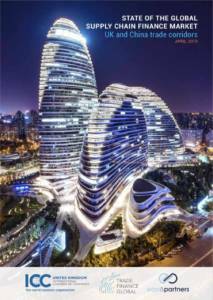 •	2019 European Supply China Financing Report – This report was produced by East & Partners to provide ‘voice of the customer’ insight for BCR’s Supply Chain Finance Global Summit, that took place in Amsterdam in December 2018. Working with a panel of senior supply chain finance bankers, convened by BCR from Citibank, HSBC, Lloyds, NatWest and Santander, key customer questions were identified and compiled into the fieldwork questionnaire. East then conducted direct interviews with key decision makers from the top 100 multinational corporates in the UK, France and Germany amounting to a total sample size of +/-300 interviews (+/-100 from each market). •	2017 Global Supply Chain Finance Report – This research is based on primary research conducted by East and Partners in the 1st calendar quarter of 2017. A total of 736 top 800 global corporates were directly interviewed by East and Partners. All interviewees were involved in importing, exporting or both across Australia, Canada, China, Hong Kong, Singapore, UK and USA. Simon Kleine is the Europe Business Lead for East and Partners, the leading specialist business banking insights and analytics consulting firm. He directs and leads all client work for East out of its London office, that also includes work for clients based in the Americas, the Middle East and Africa. He joined East in 2015 after a career that has seen him amass 15 years in the payments industry with American Express, Visa and Western Union, all where he held international communicationsleadershippositions. Beyond this he has held senior roles with global PR consultancies, serving clients across a range of industries. He holds a Politics BA Hons degree from Warwick University.